Thank you Google images for providing the visual aid for this presentation. Y'all. Can we please talk about this? Have you seen it yet? No, you haven't? Well, let me just say RUN! Run as far from this movie as you can. Do not look back, even when you remember Topher Grace is in it and ohmygosh, don't you just love Topher Grace? I need you to trust me here. And more importantly YOU need you to trust me here. I saw it tonight, and...just...wow. I have sooo many questions. First of all, what the? And also huh? And maybe some are you kidding me with this? But most of all, I need to know WHY? Can someone please enlighten me here? I just need to know. Was it just an idea thrown together over a night of one too many cocktails? Like "Oh hey, how many Big Name Actors do you think we can get into one movie?" I just cannot understand how so many actors who have done some pretty nice work previously, seem to have lost all ability to act like a character. It was painful. And loooong. Like over two hours long. (!!!) And the chemistry? What chemistry? Have these people even met each other ever before filming this scene? I just do not understand. Now don't get me wrong. I can't discount the entire thing. 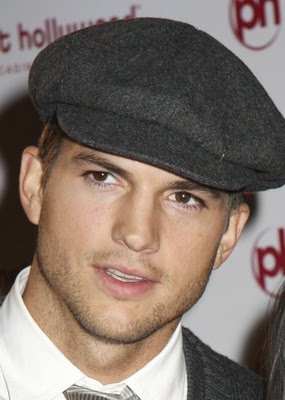 Ashton Kutcher is in it, after all. And say what you want about him but you cannot deny the fact that he is one good looking dude. I could watch the guy eat cereal for two hours and be just fine. Also, Jennifer Garner. Adorable. But that's an awful lot of weight for those two pretty faces to carry around. I can't help but feel so sorry for all the boyfriends/husbands/men in the life of the girls who you KNOW were all SQUEE! It's Valentine's Day! Oooh honeykins, let's go see the movie! That's just straight up cold of those producers/directors/writers/whoevers to do that to these guys. So. My recommendation to you is this. Avoid it at the theater Just save your $100 for the movie ticket, and wait for it on DVD. Or even better, wait until it shows up on TBS on some random Saturday afternoon when you had no intention of getting out of your stretchy pants anyway. That's the way to roll with movies like this. Of course, you know I'll probably end up buying it when it hits the Wal-Mart $5 bin. I told you Ashton Kutcher was in it. Okay! Very good to know! Not that I get to the theatre much anyway....only swooney-Clooney will get me to sit still for 2 hours. Patrick Dempsey is pretty hot, don't you think? I mean...we wouldn't kick him out of bed, right? I KNOW! YOU take Kutcher, I'll take Dempsey & Clooney. Wait. Forget Dempsey...I'll just take Clooney. If he likes to swim I know another place you can dump him to test his skills. Countless insects around my place have been tested there. None have survived. Although one nearly did... gross.